Máté Bencze has been selected by MTVA to represent Hungary at Eurovision Young Musicians 2018 in Edinburgh, United Kingdom. 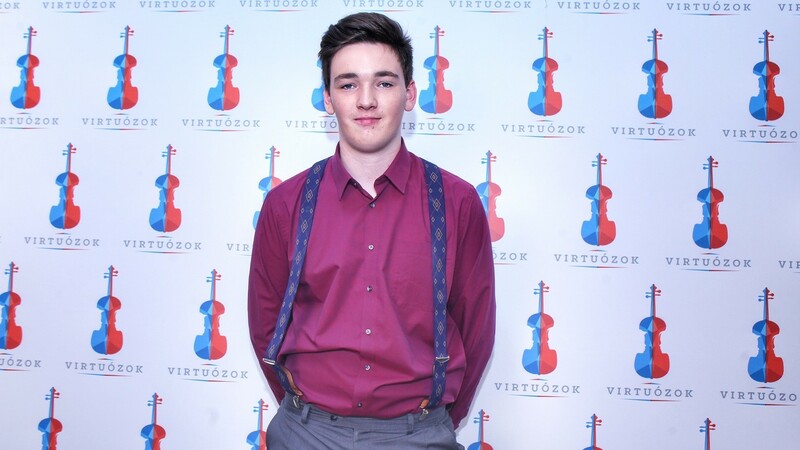 The Hungarian participant in Eurovision Young Musicians 2018 has been selected as the final of Virtuózok 2018 took place on Friday evening. Máté Bencze was selected by the Hungarian national broadcaster to receive the right to represent Hungary at this years edition of Eurovision Young Musicians in Edinburgh. Máté Bencze is 17-years-old and from the city of Debrecen in eastern Hungary, he will celebrate his 18th birthday next month. He is currently studying at Kodaly Zoltan Music School of Debrecen. Máté has been playing the saxophone since a young age. Albania will make their Eurovision Young Musicians debut in this year’s contest. Seven countries will make their return to the contest. These are Belgium (last participated in 2006), Estonia (2004), Greece (2014), Israel (1986), Russia (2010), Spain (2002) and the host nation, the United Kingdom (2010). Austria, who is the most successful country in the contest with five wins, will not take part for the first time since 1982. The 2018 edition of Eurovision Young Musicians sees the return of a semi-final elimination round, which will take the form of public chamber recitals (St. Cecilia’s Hall) by all contestants on 18-19 August, with all recitals produced by BBC Radio 3 for distribution to the Euroradio network (as well as via web streaming).